… and to make things more complicate, doing it under GNU/Linux instead of Windows. Before we begin: I’m not responsible for damages caused by following this guide. It is primarily for my own private purpose of not forgetting stuff. Feel free to follow that guide. If you break your beloved BB I can’t be taken responsible for your actions. Please don’t bother me with any problems you might encounter and don’t ask me any questions. Use a search engine and type in your question. If you have any enhancements feel free to drop me a mail (see ‘whois christianroessler.net’ for my address). Please turn on your brain and use it before copy+paste stuff from the internet. Whatever. 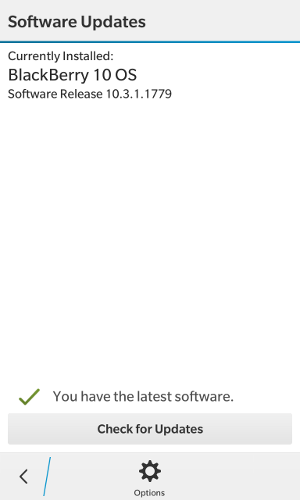 Here I am, owning a great Blackberry device, knowing there is a new version out in the field but cannot get to install that new version as it isn’t approved by my carrier. There is no way to get my OS updated via OTA (over the air, via wireless). I’m using a great tool known as Sachesi to communicate with my blackberry device. With that I’m able to backup, restore, update my device from within Linux. No need having Windows, Blackberry-Link and hand-crafted Autoupdater-exe-Files god knows where they come from. bound to 169.254.15.138 -- renewal in 234637 seconds. 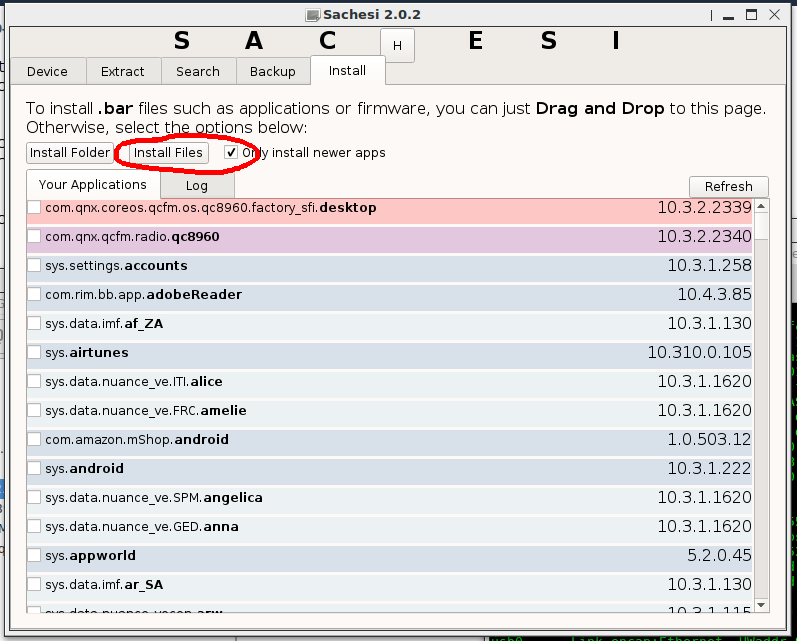 Sachesi must connect to your blackberry device, see Tab “Device”. 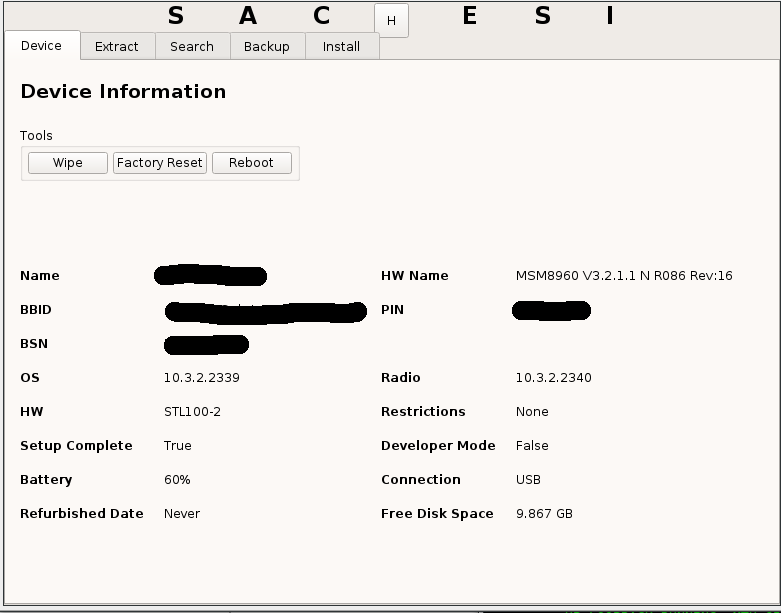 If not, redo the steps above and make sure usb0 has an ip address, otherwise your linux cannot communicate with the bb-device. Tab “Backup” - check all checkboxes, click button “create backup”. Always a good idea having a backup at hand! 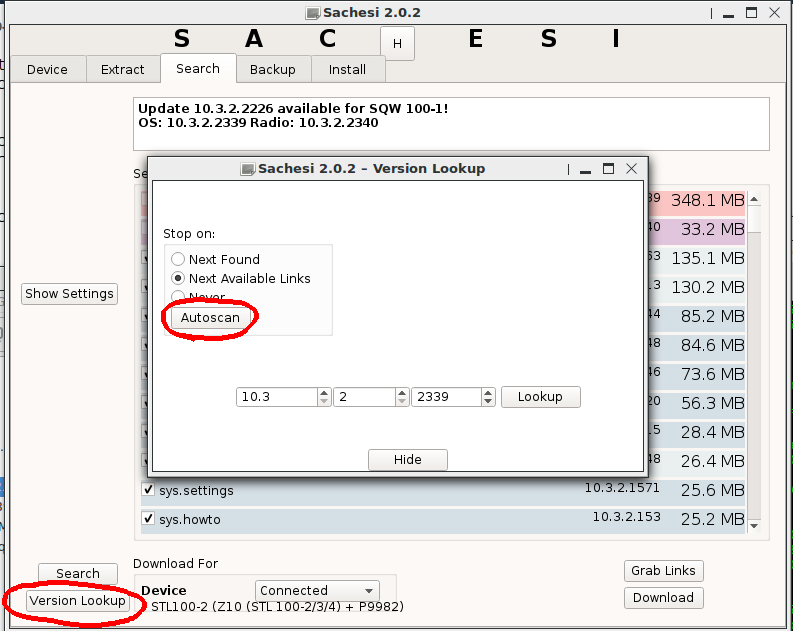 Sachesi has two methods finding updates. The first one we’re not using here, searches for a specified device+country+cell-provider combination for any approved updates. 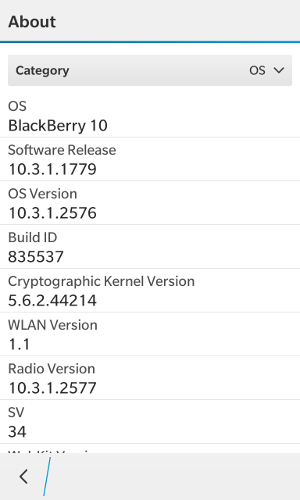 None of my blackberry-updates got approved by my provider except the earliest first one which upgraded OTA to 10.3.1.x. That’s the whole point of this article - if my cellprovider had approved BB10-updates, I could have updated from within by BB via OTA (wifi, search for updates) and must not use Sachesi… Now you know. Costs me a few hours to understand that situation. The second method tries to search for download URLs from blackberry download-servers (CDNs to be specific), this might take a while, so sit back or scan the crackberry-forums for news. Tab “Search”, Button “Version Lookup”, check “Next Available Links” to only show versions with downloadable files. Click button “Autoscan” to start searching for Downloads. 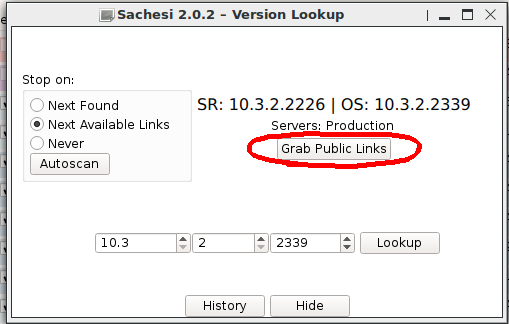 Once you found a new production (i don’t want to try out beta-releases) capable download, click “Grab Public links”. 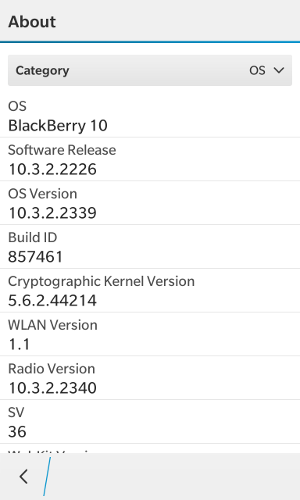 That file contains the Blackberry OS 10 Files for each OS10-device available. We just need the files for our device which is the Z10 (STL 100-2). Download all the files for your particular device. and delete that file (or move to another location please). 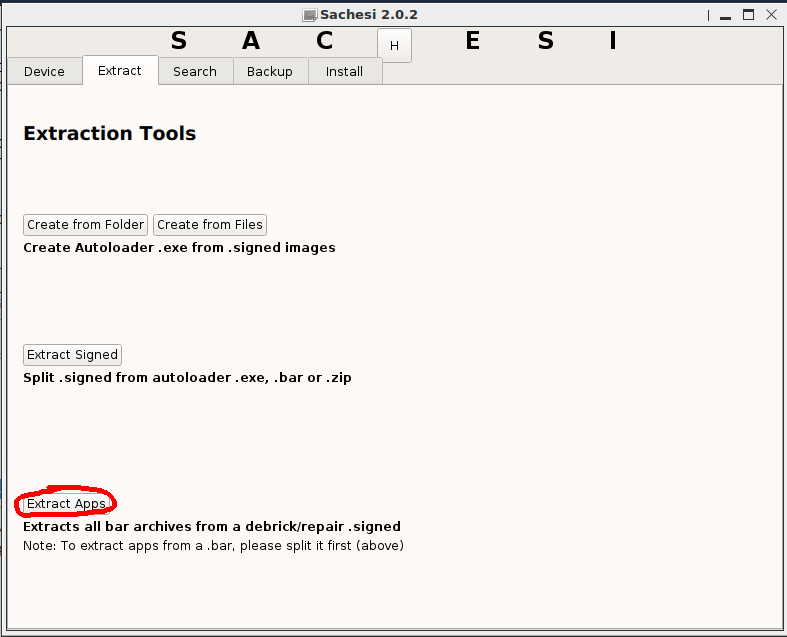 When done, utilize Sachesi to extract all apps from the resulting 3GB *signed file. Tab Extract - Button “Extract Apps”, choose *.signed file (~3GB). The Radio bar file which is about 25 MB. The Core OS bar file which is about 365 MB. And all the extracted apps (about 250 files) from the debrick bar which was about 2 GB before uncompressing/extracting. 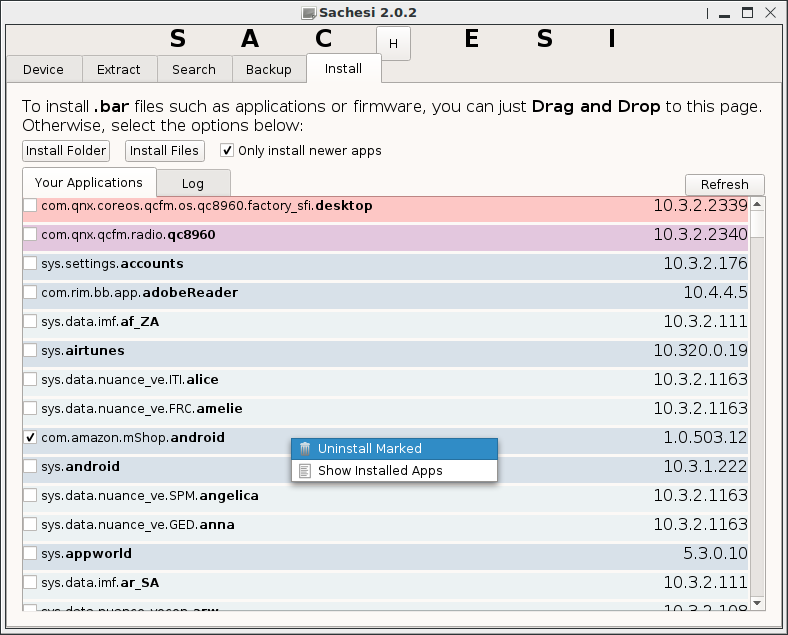 Using Sachesi, Tab “Install” select the checkbox “Only install newer apps”. Then click the button “Install Files” and select all the files from the folder where all the *.bar files reside in (Radio, CoreOs, all Apps). Once chosen, the upgrade process begins immediatly! 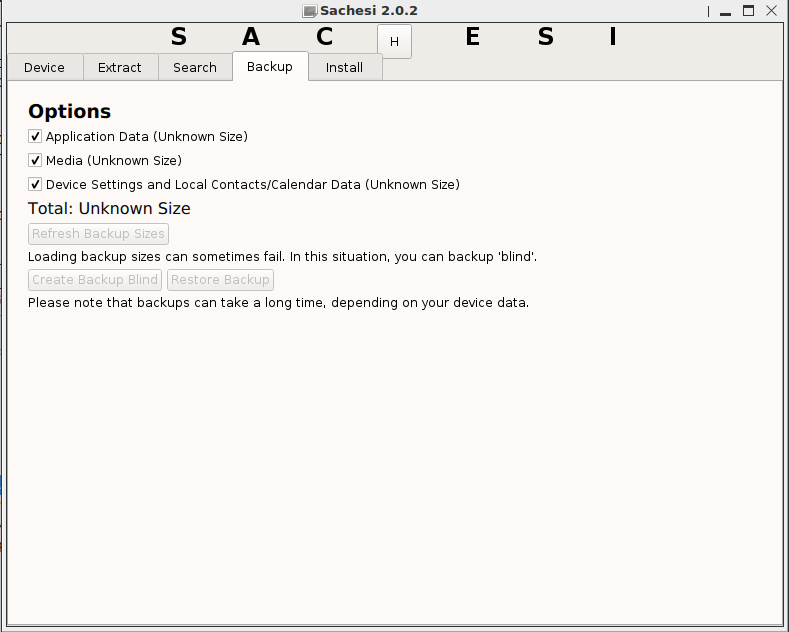 One can remove systems apps using Sachesi too. Tab “Install”, check those apps you want to uninstall, then rightclick + “Uninstall Marked”. The following apps can be removed without hesitation, the others i’m not sure. At least I’m not interested in that apps so I ditched them.